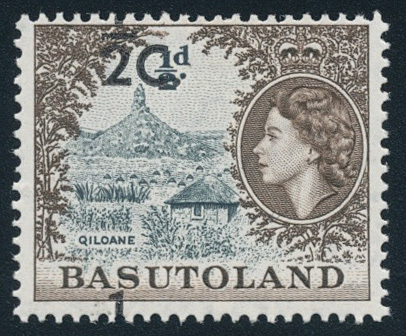 1961 QEII decimal surcharge definitive, ½c on ½d grey-black and sepia. Showing dramatic upwards shift of the surcharge which now straddles the margins between the stamps. Hinge trace, very fine mint. A scarce and spectacular variety. SG 58 var.